The U.S. and their NATO allies are planning to push for Finland and Sweden’s further integration into the Atlanticist military alliance with the goal of turning them into fully-fledged members, thus enabling them to place more soldiers and war materiel on the border with Russia. Since Sweden and Finland are not members of NATO, they are not, theoretically, obligated to aid or expect military mobilization on their behalf if something should happen to them. Nonetheless, they still stand out as important regional NATO partners in Central and Eastern Scandinavia. Their geographical location with access to the Baltic Sea, their airfields (in particular Finland's), a shared border with Russia, and being Baltic States makes these two countries attractive geopolitical targets for further NATO enlargement. Luke Coffey and Daniel Kochis, both writers for The Heritage Foundation, in the article “The Role of Sweden and Finland in NATO’s Defense of the Baltic States, have recently propagated an initial step in this direction for the U.S. and NATO" (April 28th, 2016). They call for the U.S. to pursue a policy that would encourage Sweden and Finland to become fully-fledged members of NATO. The way to sell this enlargement strategy is to push the idea that Russia might interpret their non-membership as: "a green light to intervene in the Baltic States because NATO cannot come to their defense. 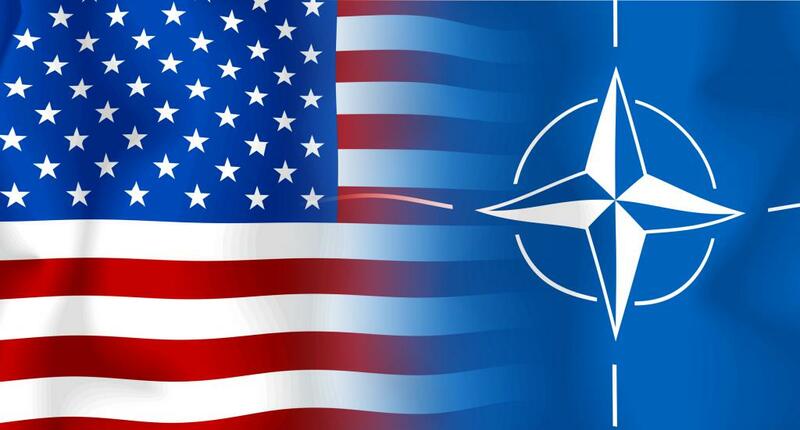 Conversely, until they decide to become full-fledged members of NATO, Stockholm and Helsinki should not expect the Alliance to come automatically to their assistance if they are attacked by Russia, and NATO members should not give that impression. NATO needs to plan for all eventualities in the Baltics—otherwise Russia will take advantage of the situation." More specifically, the Atlanticists want to advance their agenda by convincing Sweden and Finland that the Baltic Islands of Åland, Gotland and, Bornholm - belonging to Finland, Sweden, and Denmark respectively - are in direct, if not imminent, danger of being attacked and annexed by Russia. So, by using scare tactics, the U.S. believes that she can make these countries join NATO, and thus move the sphere of American military influence ever closer towards Russia. Ultimately, this is part of the strategy of strengthening the Cordon Sanitaire that the West has been actively seeking to raise around Russia since the dissolution of the Warsaw Pact. The Russian military potential in Kaliningrad seems to be something that worries the U.S. and their NATO allies. Douglas Barrie, a Senior Fellow for Military Aerospace at The International Institute for Strategic Studies, has stated that Moscow is trying to implement an "anti-access/area-denial" strategy in the Baltic region, pointing to the deployment of 9K723 Iskander-M units and S-400 long-range anti missile systems in Kaliningrad (Barrie 2016). Incidentally, this move by Russia appears to constitute a purely defensive action, taking into account the continued military concentration of NATO military personnel near her borders and the planned installation of a U.S. missile defense complex in Poland for 2018. A case in point is that NATO has just announced that a further 4,000 troops are to be stationed in Poland and the Baltic states, directly facing the Russian border, in the near future (RT: April 30th, 2016). While it is unlikely that Finland will join NATO anytime soon, seeing that only 22% of Finns are in support this at the moment and 55% are against it (YLE: Oct 26th, 2015), the numbers for Sweden are currently 41% in favor and 39% against (The Local: Sep 14th, 2015). The planned NATO meeting in Warsaw in July this year will most likely include the question of further enlargement in Scandinavia; seeing that the main topic of this summit will be combat readiness in Eastern Europe and the Black Sea. Despite the talk of "peace and security" the West keeps pushing east; provoking an expensive arms buildup, spreading fear and creating more mistrust among regional neighbors. The "clash of civilizations", prophesized by Samuel Huntington, seems to be what the Atlanticists are aiming for, while the "dialog of civilizations" and multi-polarity, proposed by Putin in his 2007 Munich speech, is discarded and ignored by the same paragons of "freedom and democracy".